If you’ve recently inherited a house or been named an Executor for an estate, you’ll need to quickly hire an estate attorney. This is one of those times when hiring a lawyer isn’t optional. And, believe me, they are here to help and will make your life easier. They will help you navigate through the complex maze of managing an estate and the complicated process of probate. 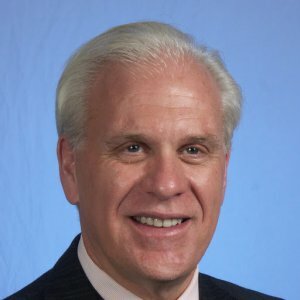 In addition, the estate attorney will be instrumental in helping you locate the decedent’s assets, how to avoid mistakes that can be very costly (yes, many Executors unknowingly make mistakes and then they are personally liable for those mistakes – see 8 Most Common Executor mistakes and how to avoid them). And, your estate attorney will be a key resource to refer other competent professionals (e.g. CPA, real estate agent, contractors, real estate attorney, appraisers, etc.). And, of course, you’ll need an attorney to file the papers with the probate court. Most people don’t understand how important this is nor how quickly they should hire one after someone dies. A good rule of thumb is to hire someone within the first week. My dad, who is a former estate attorney recommends hiring someone by about the 1 week mark. If you do it too soon, your grief may get in the way, and you may not make the smartest decision on who to hire. 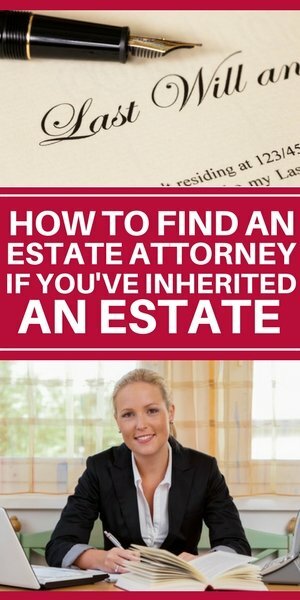 This article provides tips on how to find, as well as how to select an attorney to help you manage an inheritance. I’ve included some important questions to ask as you are interviewing potential lawyers for this critical role. As I mentioned before, if you are an Executor or Administrator of a Will, it is one of the most important times in your life where you should hire an attorney. A good estate attorney (and yes, you need to hire a specialist here…someone who specializes in estates and trusts) is worth their weight in gold. This person will help you navigate the process making sure you follow all the rules (and in the right order) and make sure you don’t break any rules or miss any deadlines. He or she will ultimately save you time, reduce your stress level and help things run much smoother. That person is also there for conflict resolution if the need arises. Managing the probate process for the first time can be confusing and intimidating. New York is one of the 30+ states that has not adopted the Uniform Probate Code, so it is more complicated than other states. 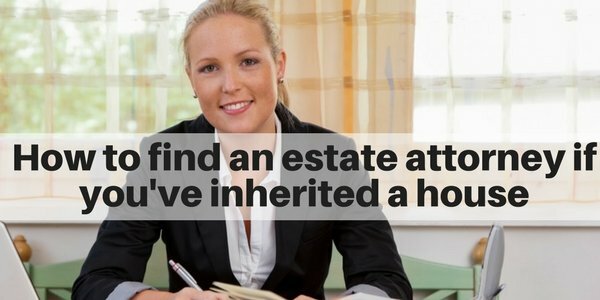 Most of us don’t have experience with this, but this is what estate attorneys do all the time, and they’ve had years and often decades of experience. Leverage their knowledge. It is easy to make mistakes in the process. And, if you are the Executor, these mistakes can be costly and you may be liable. When you have an experienced estate attorney, you have a guide and you are unlikely to make these costly errors. 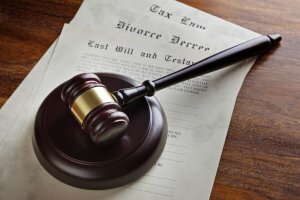 Hiring a competent and trustworthy estate attorney is especially important if you have a larger and more complicated estate, or if you have siblings/family members that may not agree on things, or if it appears that the estate may not have enough assets to pay off debts such as taxes, remaining mortgage or other debts. Generally, the best way to find a competent, honest and experienced estate attorney is to ask for a referral. This is much more reliable vs searching for one online. You may use online searches to validate your potential choices, read reviews, etc. but it would not be the first place to start, in my opinion. 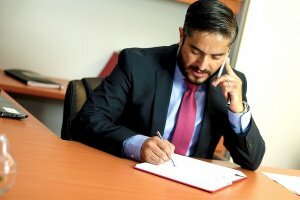 There are many honest and experienced estate attorneys, and many can’t be found online…instead, their reputation proceeds them, and most of their business comes from referrals. Remember, you are dealing with 2 things here: 1) Your/your family’s money (and you want to maximize it) and 2) Experience to know the ins and outs of the law/process as well as smart (and legal) solutions. This process can easily last 6 to 12 months (or even more for complicated estates). You need someone you can rely on, and someone you can trust. A good estate attorney is worth their weight in gold. Choose wisely. 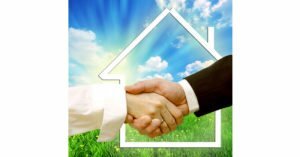 Here are some great potential sources to find a referral an estate lawyer. If one of your friends or relatives recently went through this, ask them who they used and who they would recommend. Also, have them share their key learning and advice, so you know better what to expect. Many estate attorneys turn to CPA’s for advice and to file the estate tax returns. So naturally, experienced CPA’s know who the good and reputable estate attorneys are. They also know who is easier to work with. Many financial advisors understand the importance of estate planning as this in an integral part of managing one’s wealth. So, good financial advisors know good estate attorneys. Attorneys usually specialize in an area (or two). The more they specialize, the more they perfect their skills. Most good attorneys will never stray from their area of expertise (as this would not be good representation and could be a breach in fiduciary duty). So, they are constantly referring out to other colleagues who specialize in the area the client needs. This is how their profession works, and as a result their colleagues refer to them. Collectively, everyone benefits – the clients and the attorneys. Attorneys, especially experienced attorneys, will know lawyers that specialize in estates and trusts. And, they know who’s good (and who isn’t). 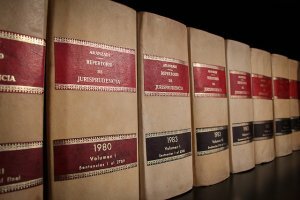 Sometimes, the probate courts will have lists of the local attorneys for their county. This happens more often in smaller counties, but it is worth a shot. 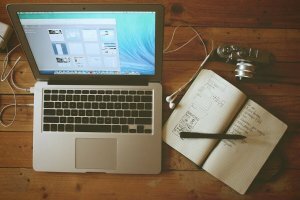 Should you search for an attorney online? This would not be my first choice for finding an estate attorney, especially since there are so many great attorneys out there. The big challenge with searching online for an estate attorney is that many of the listings are paid ads and you won’t get a full picture of the attorneys available. Also, bear in mind that many online reviews may be fake. But, if you already have an attorney you’re considering, by all means check out their website. It will often tell you about the person you’re considering including their background and experience, as well as where they graduated from law school. I know things can be more challenging if you live out of state, and it’s tempting to go online first, but I’d encourage you to explore the 6 suggestions for referrals that I listed above first. Tap into your friends or parents’ friends’ network. If you’ve heard the phrase, “Jack of all trades, master of none,” know that it definitely applies here. When it comes to hiring an attorney, you definitely want to hire a specialist and not a general practitioner. (Would you ever go to general practitioner doctor if you need to get open heart surgery?). The law is complicated and you want someone who knows the ins and outs of estate and probate law. They will make sure your job gets done well…and they will do it much quicker. 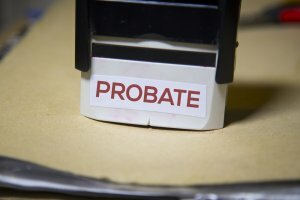 Probate law varies from state to state and the laws and tax implications can even vary year to year. You want someone who is up to date on all the nuances of this specialized practice and someone who can navigate the court system. It’s critical that you hire a lawyer who is licensed to practice in the state where the decedent died (as their estate will be probated in their state and county). If you have an estate on Long Island, it’s not critical that the estate attorney lives on Long Island (although it is helpful). If they live somewhere else in New York or in New Jersey or Connecticut, that is fine, as long as they are licensed to practice in New York. Bear in mind that the estate lawyer will need to file papers and interact with the Nassau or Suffolk County surrogate court, so if they live in here on Long Island, that certainly helps expedite things and may make things easier for you. You want an estate attorney who is experienced…not just a specialist in estate and probate law, but one who has been doing this for several years. The longer they’ve been practicing in this field, the more they generally know, so they can do things better and faster. Also, inheritances can be tricky at times…any time you have family and money mixed together, it can be challenging. Estate lawyers with more experience have had the opportunity to muddle through more problems. They know how to solve them better…and importantly, they also know how to prevent and avoid them. Price per hour should generally not be your main criterion for selecting an estate attorney if you are the Executor. (And, remember that the costs will be paid by the estate, not by you personally). While it’s important and reasonable to ask lawyers for their hourly rates, bear in mind that their fees generally reflect their experience and expertise. The saying “you get what you pay for” certainly applies here. When an attorney has been doing this longer, they can charge more per hour…but bear in mind that they will also usually get the job done faster (and therefore charge fewer hours). Now, while price per hour is generally indicative of skill and experience, there are certainly some other factors that can influence the price. Most notably on Long Island, we are close to NYC. Generally lawyers in NYC charge more per hour (when comparing apples to apples) vs lawyers on Long Island, or Westchester, etc. So, you may be able to save some money without sacrificing the quality of representation by hiring someone local…or at least outside of Manhattan. You definitely want to find someone you can trust. Your attorney is your advocate. You need to trust that they’ll do a good job and you want to trust them with personal and confidential information. You want to have a good working relationship with this person. Remember that you may be working with this attorney for 6 to 12 months (or longer). Note: Many find it helpful to first call 2 (or maybe 3) estate attorneys on the phone first. It will save both of you time. You can usually tell from a quick 30 minute phone interview if this person could be a good fit and someone you’d feel comfortable working with. How long have they been doing estates and trusts? How large have the estates been that they’ve handled (or what is the range of values?). What percent of their practice is dedicated to estates and trusts? What sorts of assets have they dealt with (e.g. selling house, auctioning artwork, antiques or jewelry, handling properties in multiple states, etc.). Ask about whatever nuances are in your particular estate. Ask the attorney if they’ve ever been an executor and/or if they have gone through this when they were a beneficiary. You want to find someone who has had experience with cases that are similar to yours and someone who is equipped to handle the likely situations that may arise. Find out some of the most common issues that come up, so you can try to avoid them. And, ask them about some of the issues they’ve dealt with and how they handled them. This will help you better understand their experience and problem solving ability. Ask about whether the attorney has a staff or if they are a sole practitioner. If they have a staff (e.g. receptionist, associate, paralegal, etc.) this will generally be helpful for you. First, it will often make it easier to reach someone who can help you when you need it. Second, it will generally save you money as the attorney can farm out simple tasks to others on their staff…and therefore charge you less (e.g. do you want to pay someone $500 an hour to make photocopies?). Ask them how much of the work will be delegated as well as how the attorney oversees the work to make sure there are no mistakes. As I mentioned above, pricing generally should not be the key deciding point in choosing a capable and trustworthy estate attorney. But, it’s definitely reasonable to ask about the price/hour. Also, you may ask about how many hours they anticipate things will take. But, bear in mind that they may not be able to answer that at the beginning. And, also bear in mind that there may be surprises along the way, especially if there are multiple siblings who tend to argue. It’s also helpful to know what are the sorts of things that can increase the number of hours and what (if any) steps you can take to try to minimize this (e.g. getting your siblings on board ahead of time usually helps things go smoother and faster). Make sure you understand how the payments will work. 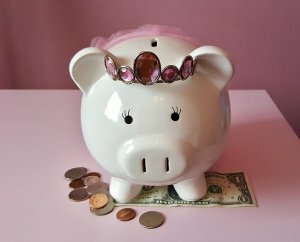 (Most attorneys work on a retainer system where you may pay them chunks of money and they expense it as they use the hours). It’s important to observe the office and staff members and how they’re treated. If the staff members seem to be pleasant and upbeat, that’s a good sign of a healthy working environment (and an organized office). You want to be working with peoples that are responsive and have a good attitude. You want the attorney to respectful of his or her employees and vice versa. This is a great test of character (similar to when you go to restaurant and you hope that your friend/colleague treats the wait staff well). Generally references from other professionals are excellent. That person usually knows the skills and work of the attorney and certainly won’t refer you to someone they don’t trust (as it’s a reflection of them). Often referrals from friends and family are also quite good. But, if you don’t have a referral, I would be sure to ask for a couple of references that you can call and check up on their work. Hiring an estate attorney to help you manage an Estate is an important decision to make and the sooner you find someone you can trust, the easier and faster the probate process will be. Many make the mistake of waiting too long, so you’re one step ahead of the game if you find an experienced estate lawyer for your inheritance.